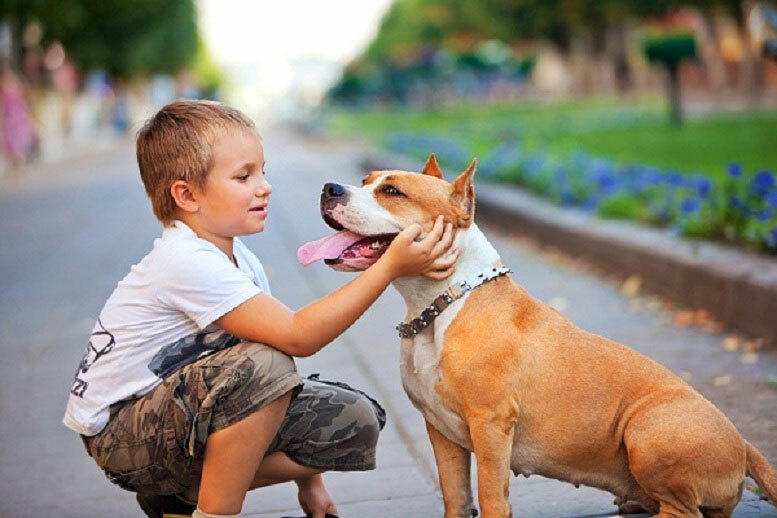 May 18 – 24 is National Dog Bite Prevention Week and the American Veterinary Medical Association (AVMA) has great ways to help parents and their children understand how they can prevent dog bites, so you can help your kids – and dogs-stay safe and happy! 1. Avoid dogs you don’t know. If you see an unknown dog wandering loose and unsupervised, avoid the dog. 2. Ask before petting! When the owner is with their dog, always ask the owner for permission to pet their pup. Even if it’s a dog you know, asking first can help prevent sudden movements that may startle the dog. 3. When confronted, don’t panic. If a dog confronts you, walk confidently and quietly away. If a dog goes after you, stay calm and stand still, keeping hands low and clasped in front of you. It’s important to take a defensive position, so the dog won’t think you are trying to harm him. 4. Don’t make it worse. Avoid escalating the situation by yelling, running, hitting or making sudden movements towards the dog. All of these actions will make the dog feel threatened and can make the dog more aggressive. 5. Let sleeping dogs lie. When a dog is sleeping or eating, leave the dog alone. 6. Never tease dogs. Don’t take their toys, food or treats, and never pretend to hit or kick them. This could create distrust in the dog, and make him or her more aggressive. 7. Playtime has a beginning and end. A dog has to want to play, but when the dog leaves that’s your cue that playtime is over. The dog will come back for more play if he feels like it. 8. Never pull a dog’s ears or tail. Pain makes a dog feel like he is in danger and he could respond by biting. 9. Dogs aren’t toys. Never climb on or try to ride dogs. Not only could this scare or anger the dog, but it could also injure the dog if he cannot support the weight or tries to get away. 10. Dog crates are safe spaces. Don’t bother a dog when he is in his crate. Dogs need a comfortable, safe place where the child never goes. Remember, dogs need alone time too!